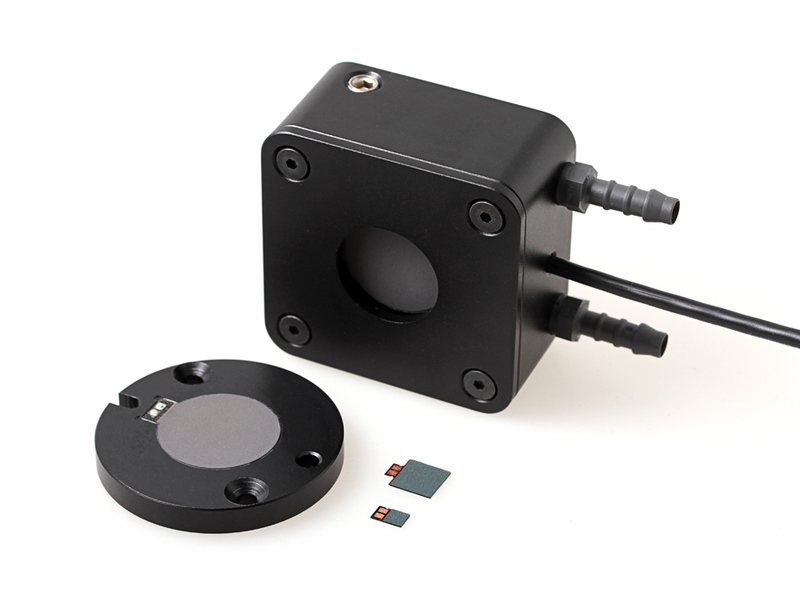 Laser output power is a fundamental parameter which requires monitoring regardless if it is a scientific or industrial application. When the laser average power exceeds a few hundred watts, water cooling is recommended to prevent damage to the detector. 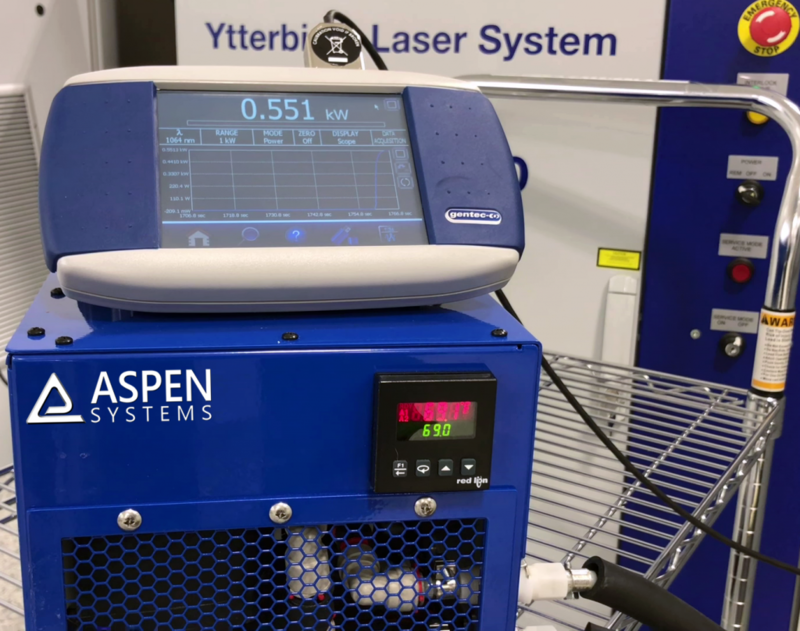 Aspen Systems visited IPG Photonics in Marlborough with a laser power measurement device from Gentec-EO and the Aspen systems LCS-600 liquid chiller. The basic laser power detector is essentially a thermopile. The more familiar application for thermopiles, in fact where the common name “thermo electric cooler” comes from, is when a voltage is applied to cool one side of the thermopile and whatever it is bonded to. Thermopiles for laser power measurement however are used in the opposite fashion. That is, a temperature difference is used to create a voltage. On one side is material heated by the laser and on the other is a heat sink. The laser energy absorbed by that material is converted to heat. With the hot absorber on one surface and the cold heat sink on the other, there is a temperature difference across the thermo electric device as the heat flows through it. This temperature difference causes the thermopile to generate a voltage. That voltage is proportional to the temperature difference which in turn is proportional to the laser power. The monitor measures this voltage to provide the laser power reading in watts. The figure shows the fundamentals of the thermopile-based power detectors. By chiller, we mean vapor compression refrigeration systems which either cool a laser cold plate or thermopile of a power meter directly (Direct Refrigeration Cooling – DRC) where the refrigerant flows directly through the device providing the highest efficiency and is virtually maintenance free. Alternatively, using a liquid chiller where water or a water-glycol mix flows through the device. In either case, a non-CFC refrigerant, typically R-134a or R-404a goes through a multi-phase heat transfer to remove heat from the source. For steady state heat loads, temperature stability is excellent to less than ±0.1°C. Thermopiles used in laser power detectors have a limited heat load before they reach their damage threshold. Focused laser beams of only a few tens of watts can create localized damage on the detector. It is always recommended to defocus the laser beam to spread the power density over a greater area of the detector. Even with a defocused laser beam, when the power exceeds a few hundred watts, air or water cooling is required. Aspen Systems are experts in vapor compression refrigeration for air, water or direct refrigerant cooling. 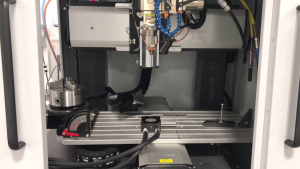 By using our world’s smallest compressor, we can supply systems which have the smallest footprint and has been integrated into thousands of OEM manufacturer’s systems. Typical systems operate on 24 VDC – ideal for mobile applications such as patient cooling, mobile military cooling of communications electronics, cooling of sensors and high performance integrated circuits in autonomous vehicles and a host of other applications. In addition to its incredibly small size, Aspen’s OEM solutions are the most efficient cooling systems commercially available. Furthermore, over 3,000 of Aspen’s systems has been deployed in Iraq and Afghanistan logging millions of hours of operation in extreme heat and vibration without a single compressor failure.